Are You Progressing in Fitness? What did you do for your workout today? Did you just go in and sweat for an hour? Or was there intention and design to your hour? If you had to think about a workout you did a year ago, or a few months ago, can you pin point exactly how you have progresses since then? Or is it just random workouts? The same can be asked about other aspects of your life as well. How about your nourishment? Have you been able to make changes over the last 6 months, year, or many years, that you were able to make into new habits, and don't even have to think about anymore? Or did you try a new fad diet, or two, and ended up in your old routines once again? With a busy work schedule and a laundry list of responsibilities, it’s easy to fall into a rhythm and not stop to think whether your daily actions are aligning with your goals in life, both inside and outside of the gym. Nowhere does this apply more than in your workouts and nutrition. Often times, it is hard to connect what you are doing today to how it will affect your health in the long run, because the consequences take time to manifest. It could be months, years, and even decades before you realize how eating a particular way, or not moving your body everyday will impact your future. So, you keep doing what you’re doing, and never really connect a lack of results to your daily actions. 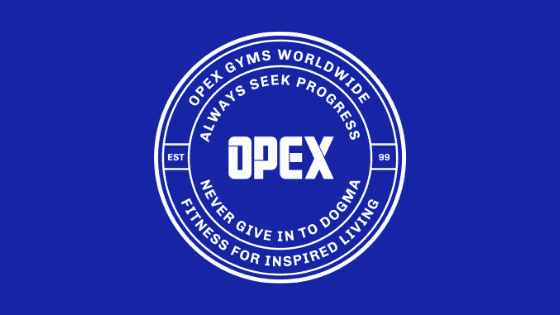 OPEX Franklin, and all of our OPEX Gyms around the world, strive to always seek progress for our clients, by never allowing complacency to set in. Regular feedback, through assessments and consultation, ensures that your program progresses with your life. OPEX Coaches have the education and passion to analyze why you might be feeling ‘stuck’, and make changes to the program as needed to ensure progress. Because fitness looks different for every single client in an OPEX Gym, we don’t prescribe to dogma. What works for you, might not work for your friend. What works today, might not work in a couple of months. Being able to work with clients on an individual basis allows us to adjust as your needs change. Take a moment and consider whether you are truly getting the results you want from your fitness program, or if you’re just sticking with it out of inertia. By approaching your workouts with a growth mindset, rather than being wed to a specific style of fitness, you will never stop growing in an OPEX Gym. Start this journey today by scheduling a free consult.